In the early 1940s, when American physicists were experimenting with nuclear energy for the Manhattan Project, the United States government knew it had to take extra precautions to keep researchers safe. The government created a Health Division at one of the research sites, for the project known as the Metallurgical Laboratory (Met Lab) at the University of Chicago. One of the team members, Ernest Wollan, focused his time on measuring radiation exposure. As a result, Wollan developed the film badge dosimeter — the first reliable device to track a worker’s cumulative exposure to ionizing radiation. Who was Ernest Wollan? In many ways, he was a pioneer — the first person to have the title “health physicist,” and the first to create a group fully devoted to radiation safety. Before Wollan and his team created the film badge dosimeter, the only way to measure a worker’s radiation dose exposure was by using a pocket ionization chamber, which was prone to error. Wollan received his doctorate investigating X-ray scattering from crystals, so he was well-versed in both the science and associated risks. The Met Lab was focused on constructing Chicago Pile-1 (CP-1), the first nuclear pile. When CP-1 was first powered-up on December 2, 1942, Wollan set up an electroscope to measure the gamma levels and spent significant time ensuring that all his shielding calculations were correct. While the rest of the researchers were consumed with testing the results of their work, Wollan himself was immersed with ensuring their safety. He would set a precedent for the next eight decades of placing a high priority on radiation safety. 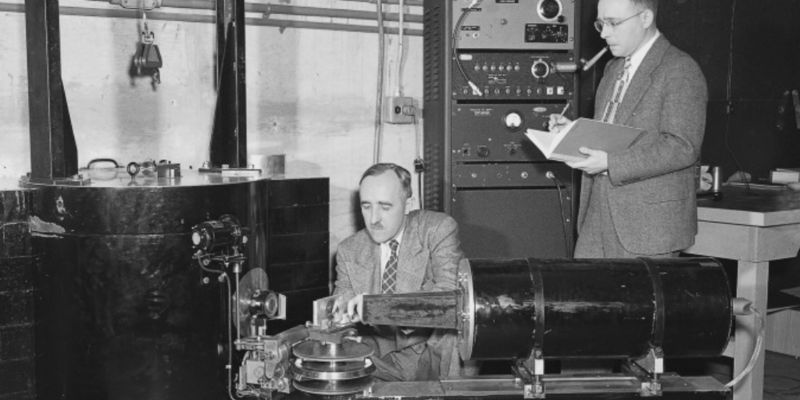 After World War II, Wollan worked with physicist Clifford Shull to develop a technique of neutron diffraction analysis for investigating crystal structure. Forty years later, Shull received the Nobel Prize in Physics for this work, but Wollan had already died and was unable to receive the award posthumously. Still, his legacy lives on in the hundreds of thousands of workers who have benefited from his accomplishments.